In 2017, 12.5 percent of sworn police officers on the local, state and federal level were women. In the military, 16 percent of enlisted personnel and 18 percent of officers are women, and these numbers are growing. The number is even higher in the EMT field where women make up 35 percent of first responders. With the increasing number of women working in these traditionally male-dominated careers, it is no wonder there is growing demand for female-specific clothing and gear. Historically, very few clothing options have been available for females serving in uniformed fields. Women have been forced to wear clothing and gear designed and sized for men, with little consideration to how greatly a woman’s body differs from her male counterparts. The result: uncomfortable uniforms and gear that don’t fit properly and which, in turn, may hamper the efficiency and performance of a female operator. 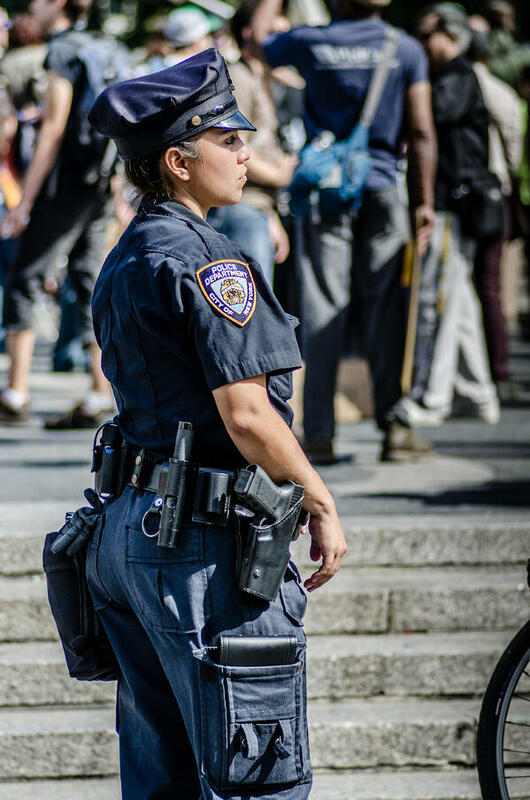 Simply put, women’s bodies are different than men’s, and the uniforms they wear on the job need to reflect those differences. A growing number of tactical clothing companies are recognizing these differences and are manufacturing equipment made specifically for women. Contact these companies and ask them about their sizing specifications before you make a purchase to ensure you will get the right fit for your body. Shirts need to be cut specifically for a woman’s natural curves so that she has the freedom of movement without unnecessary loose, or even binding fabric getting in the way of her tasks. The material should be breathable and reinforced at stress points with a chest pocket as well as sleeve pockets. Comfortable waistbands are high on the list of essentials when your job requires extreme mobility. When looking for a good pair of work pants, steer clear of the latest fashion trends. Despite the recent resurgence of high-waisted pants, this style is often uncomfortable and even movement-inhibiting in an active work environment. You may want to consider instead opting for pants with a mid-rise waistband. Mid-rise waistbands make carrying gear and drawing a firearm easier. For much-needed on-the-job storage and easy access, look for pants with media and cargo pockets. Features nine pockets – some in the waistband and some in the legs – to carry your firearm, pepper spray, stun gun, cell phone, credit cards, keys, water or anything else you need to securely and comfortably carry. The legging is a little slimmer than the signature pant and features the same number of pockets for your carrying needs. These crop leggings have seven pockets, including firearm carry pockets for storing all your essentials. These running shorts feature seven pockets built into the waistband to hold your firearm and other essentials. Available in white, gray or black, this tank does not include carry pockets but is designed to minimize the imprint of a firearm so you can remain discreet when you carry. Designed for layering, the longer backside of this sweater provides better posterior coverage while running. Like the Mesh Cupro Tank, this sweater does not include carry pockets, but does add an extra layer of concealment. Available in white, gray or black. At Vel Tye, we focus on tactical vests and gear that are customized to your needs and your uniform. Whether you are interested in upgrading or customizing your tactical equipment individually or as a department, we can meet your needs. Contact us today so we can work up a customized plan for you.